EERA-DTOC stands for the European Energy Research Alliance – Design Tool for Offshore Wind Farm Cluster. The project is funded by de EU – 7th Framework Programme (FP7) and runs from January 2012 to June 2015. It is coordinated by de Technical University of Denmark – DTU Wind Energy. The EERA-DTOC project combines expertise to develop a multidisciplinary integrated software tool for optimized design of offshore wind farms and clusters of wind farms. 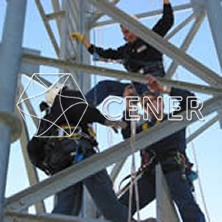 CENER participates in 5 of the 7 work packages and leads the work package 3, entitled “Energy yield prediction of wind farm clusters” whose objective is to provide an accurate value of the expected net energy yield from clusters of offshore wind farms.